Although a community college education is inexpensive when compared to tuition and fees at a four-year institution, some students still need financial assistance to pay their education bills. Yet, some community colleges don’t participate in the federal student loan program, putting some students in a financial bind. Community colleges offer a cost-effective means for students to obtain a degree or certificate or complete the first half of studies required for a bachelor’s degree. Because they are so affordable – annual tuition and fees average just under $3,500 – many students do not need to take out student loans in order to pay for their expenses. Some students live at home or take public transit to further lessen costs, while others attend part-time and work so they can avoid taking out loans and instead pay for their schooling out-of-pocket as they go. However, some students don’t have the luxury of depending on mom and dad for free room and board, money for textbooks, or gas money to get to campus. For those students, the additional costs of attending a community college can add up: When all fees, room and board, and textbooks and supplies are added in, the average annual community college expenses rise to $15,000. Federal student loans provide a lifeline for many students who would not otherwise be able to afford these expenses, minority and socioeconomically disadvantaged populations among them. But for a million students nationwide, federal student loans are not an option because their community college does not participate in the federal student loan program. At first glance, it may seem counterproductive for a community college not to participate in the federal student loan program. After all, more available financial aid means more students are able to enroll in courses, thus helping that institution’s bottom line. 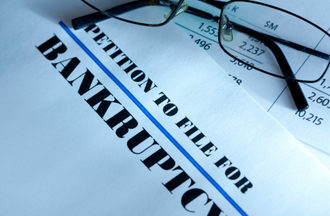 However, colleges are held accountable for their students’ loan default rates. With one in five students in default within three years of beginning their repayment, many community colleges simply don’t want to take the risk. Institutions that have a significant default rate can be banned from receiving federal aid of any kind, including scholarships, Pell grants, and federal work study funding. In some states, such as California, schools can lose access to state funding as well. In light of the disaster that kind of funding loss would be, some colleges have chosen instead to not participate in the loan program offered by the federal government. Many states in other areas of the nation, including New England and the Midwest, also have 100 percent of students able to participate in federal student loan programs. While altogether not offering federal student loans provides some measure of fiscal protection for community colleges, it puts some students in a significant financial bind. Only two percent of community college students are able to cover their educational expenses wholly with federal grants. So for the majority of students with financial need, without federal loan access, far riskier sources such as credit cards, which often have variable APRs and negatively impact students’ credit scores as their card balances rise, are used to pay for schooling. Another bad option for funding one’s education are private student loans. Offered by local and national banks, as well as some unsavory websites, private loans have higher interest rates than federal loans. 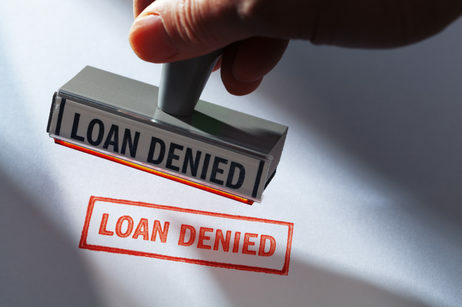 What’s more, many private loans lack the flexible repayment options featured by federal loans, such as deferment or forbearance, which allow a borrower to postpone their payments for a specified period of time, or income-based repayments, which adjust a borrower’s payment based upon their annual income. Private loans are also based on a student’s credit history, which for some low-income students is insufficient to procure a loan. 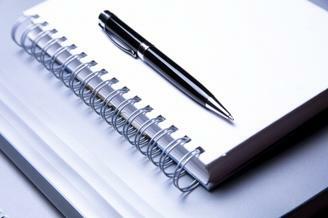 In many cases, students must have a co-signer in order to qualify. Despite the shady nature of some privately-funded student loan programs, at least 20 community colleges that have opted out of the federal loan program promote private loan companies on their website. For some students, this de facto endorsement may be enough to put their fears about private loans to rest, only to find out years later that it was a very big mistake to take out such a loan. There are a number of actions students can take to protect themselves from the financial weight of paying for school with a credit card or a private loan. First, before even applying to or enrolling in a college, investigate whether that institution participates in the federal student loan program. If they are not a member institution, look into the possibility of attending another college nearby that does. If attending another school is not feasible, exhaust all other financial aid opportunities before taking out a private loan. A surprising number of students are eligible for Pell grants and scholarships and don’t even know it. And while asking family or friends for money to pay for school may be embarrassing, it’s definitely less expensive than taking out a high-interest private loan. Work-study programs are also available, as are special programs for students who have served in the military, students who have a disability, and many specialized populations such as minorities and single mothers. Many community colleges also offer financial aid counseling to help students determine how much money they need for school. Counselors will work with students to devise a budget based on their educational and career goals, expected income after graduation, and factors that will impact their ability to repay loans. Taking advantage of these services will help a student avoid over-borrowing and set them up for financial success after graduation. While all students at an institution that doesn’t offer federal student loans are negatively impacted, the groups that hurt the most are minorities. For example, TICAS reports that while 8.5 percent of all community college students cannot get federal student loans at their school, minority groups are disproportionately affected. Over 12 percent of African-American students, 10.5 percent of Latino students, and a whopping 20.1 percent of Native American students attend schools that do not participate in the federal loan program. Only Asian students fared better than white students when it comes to having access to these funds. The reality is that the students who are most likely not to qualify for scholarships, or for whom grants do not cover all their expenses, are the ones most likely to attend a community college that doesn’t offer federal loans. To cover the gaps, many of these students rely on credit cards or private loans, or work multiple jobs in order to pay for their education. The more students work, the less likely they are to graduate. And many of those that do graduate have incurred risky debt to do so and are more likely to default. While some look at the data and are pleased that “only” one million students are not eligible for federal loans, others see yet another barrier for the most disadvantaged students to receiving an education. When education is a primary key to ending the cycle of poverty, the decision by community colleges to discontinue offering federal student loans doesn’t just impact a student’s bottom line, it has a direct impact on their ability to climb the socioeconomic ladder. Carrns, Ann. Not All Community Colleges Offer Federal Students Loans. The New York Times, 15 July 2014. Web. 6 Aug 2014. 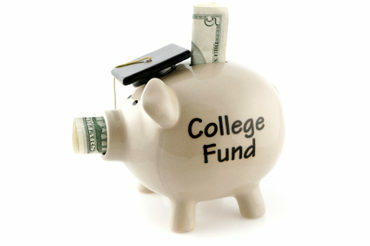 <http://www.nytimes.com/2014/07/16/your-money/not-all-community-colleges-offer-federal-student-loans.html?_r=0>. Cochrane, Debbie and Laura Szabo-Kubitz. At What Cost? How Community Colleges That Do Not Offer Federal Loans Put Students At Risk. The Institute for College Access and Success, July 2014. Web. 6 Aug 2014. http://ticas.org/content/pub/what-cost-how-community-colleges-do-not-offer-federal-loans-put-students-risk. Friend, Nina. One Million Community College Students Can’t Get Federal Student Loans. The Huffington Post, 16 July 2014. Web. 6 Aug 2014. <http://www.huffingtonpost.com/2014/07/16/community-college-student-loans-ticas_n_5587833.html>. Pender, Kathleen. 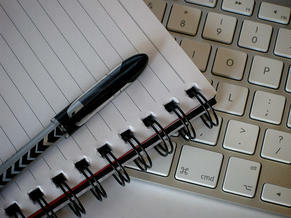 Amid Student Loan Defaults, Aid Threatened. San Francisco Chronicle, 19 July 2014. Web. 6 Aug 2014. <http://www.sfgate.com/business/networth/article/Amid-student-loan-defaults-aid-threatened-5633148.php>. Private Loans. Student Loan Borrower Assistance, n.d. Web. 6 Aug 2014. 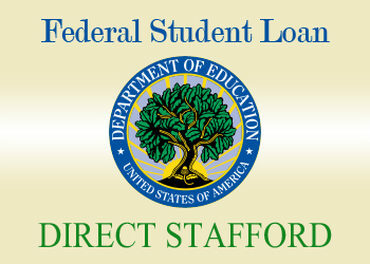 <http://www.studentloanborrowerassistance.org/start-here/private-student-loans>. Sanchez, Claudio. Federal Loans Tough to Come By For Community College Students. National Public Radio, 15 July 2014. Web. 6 Aug 2014. <http://www.npr.org/blogs/ed/2014/07/15/331735154/federal-loans-tough-to-come-by-for-community-college-students>.